Every foster, adoptive and kinship caregiver has stories. We picked a newborn up from the hospital who came home with nothing but a dirty diaper bag and one scoop of formula. A four year old girl who cried herself to sleep wondering ‘who would take care of her mom.’ A teen who has been in and out of six group homes before he came ‘home’ to us.  The Arizona Association for Foster and Adoptive Parents was founded to ensure that the courageous and loving families who care for Arizona’s most vulnerable children can find the support they need to do the best work they can do. We invite you to share in our work. $100 will purchase four new pairs of shoes for children going back to school. $300 will outfit 10 children with jackets for the cool weather. $500 will pay to refurbish 20 bikes to like new condition in our Recycle Your Bicycle program. $1,000 will send four families to ‘family camp’ for a fun weekend where children see that they’re ‘not the only ones’ in foster care and parents get together for networking and support. Donations to AZAFAP qualify for the Qualifying Foster Care Organization Tax Credit. That means you can receive a dollar-for-dollar tax credit for your donations of up to $500 for single filers and up to $1,000 for joint filers. And, most important, you’ll know that your gift helps children in foster care. and the families who care for them, get the support and resources they need.